Okay, so the first Dinos were actually Ferrari race cars, but the Dino road cars (which lacked Ferrari badging) went on sale in 1968 and lasted through 1976 (before being rolled back into the official Ferrari product line). Dinos were V6-powered cars, an engine that was co-developed by Enzo’s late son and car namesake, Dino. Ferrari had Sergio Pininfarina get to work on the Dino road car in 1965. And the resulting concept car, seen here, was spectacular. Built on a short wheelbase 206 P competition chassis, the car debuted at the 1965 Paris Motor Show. The body is very low and streamlined. Check out the front “bumper” – it’s just the headlight glass. The 2.0-liter V-6 is mid-mounted, which would make the Dino the first road-going, mid-engined Ferrari. Pininfarina retained the car after the show circuit and donated it to the ACO (organizers of the 24 Hours of Le Mans) and their Le Mans Museum, where it has remained since 1967. The car is being sold by the ACO to help fund future projects and is being sold because the mission of the museum is to present cars that have competed in the race (which this car did not). The car is currently complete save for its mechanical internals (i.e. it’s missing important parts of the engine and transmission that make it go, like the pistons and the clutch). Regardless the pre-sale estimate for this important, one-off Ferrari concept car is $4,225,000-$8,445,000. Click here for more info and here for more from this sale. 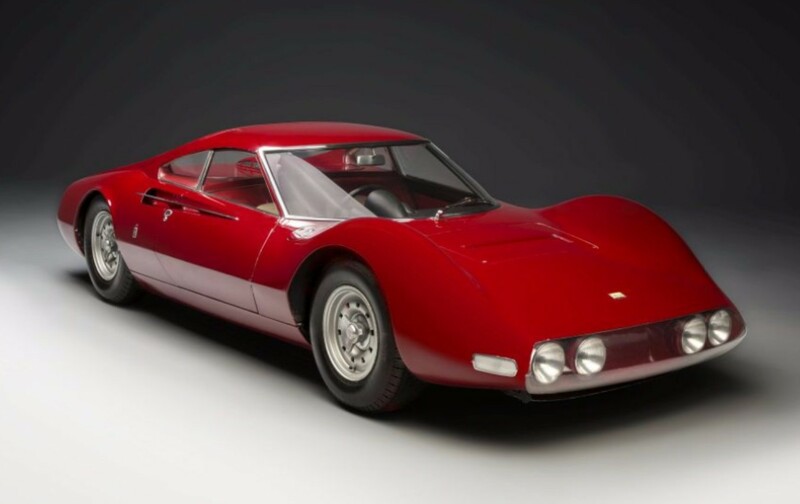 This entry was posted in Uncategorized and tagged 1965, artcurial, auctions, berlinetta, cars, classic cars, dino, ferrari, pininfarina, speciale by classiccarweekly. Bookmark the permalink.